Michael Joseph Piazza is known as the greatest offensive catcher of all-time. His 396 career home runs as a catcher (427 HR overall) place him comfortably atop the career list for home runs by a catcher. 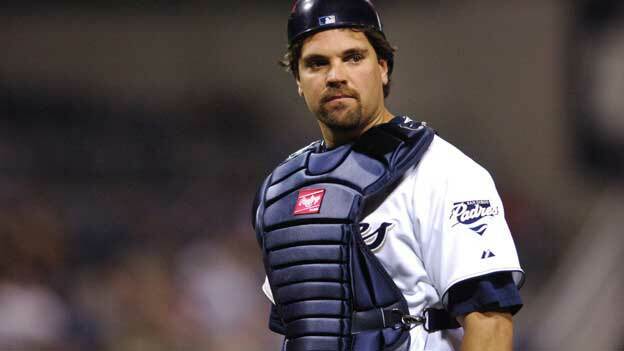 Although Piazza is most notable for his performance as a member of the Los Angeles Dodgers and New York Mets, Mike Piazza’s 16-year career included tours with the Florida Marlins (1998), San Diego Padres (2006), and Oakland Athletics (2007). While hitting over 400 career home runs with a .300-plus lifetime batting average and never striking out more than 100 times in a season, Piazza belongs to a select group of nine other current and future Hall of Famers to ever achieve this feat. That group includes family friend Ted Williams, Stan Musial, Lou Gehrig, Mel Ott, Hank Aaron, Babe Ruth, Vladimir Guerrero, Albert Pujols and Chipper Jones. The 12-time All Star and 10-time Silver Slugger Award winner was named Rookie of the Year in 1993 and All-Star Game MVP in 1996. Always a fan favorite, Mike Piazza’s rise from 62nd round pick (1,390th overall) in 1988, to National League Rookie of the Year in 1993 – combined with a dozen All-Star Game appearances and most recently 2016 National Baseball Hall of Fame Inductee – is truly inspiring. 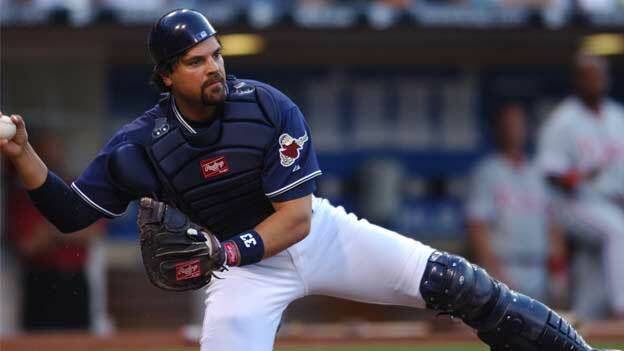 Although he’s been retired for nearly a decade, Piazza is still passionate about the game of baseball, serving as the hitting coach for Team Italy in the WBC and making several appearances at Spring Training over the years. Also an avid soccer fan, Piazza has attended matches all over the globe, including the World Cup in 2014. Mike is married to his wife, Alicia. The two of them currently reside in Miami Beach, Florida, with their two daughters, Nicoletta and Paulina, and their son, Marco. All-time record for HR by a catcher. Given to the best offensive player at each position in the league annually. 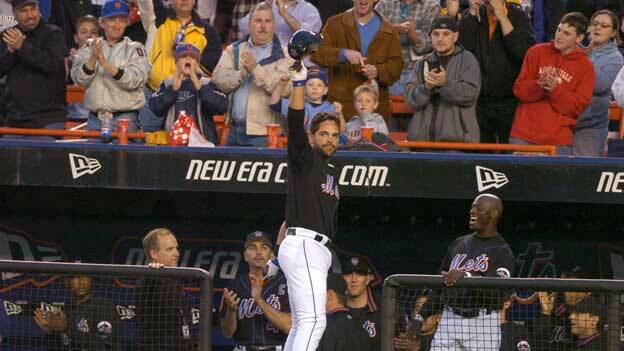 Piazza hit more than 30 home runs in 8 consecutive seasons(1995-2002). 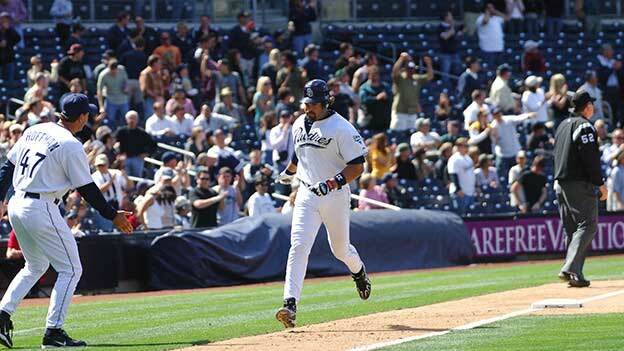 He has 9 career 30-homer seasons. Piazza hit .300 in 9 consecutive seasons, dating from 1993 to 2001. In 1993, Piazza hit 35 home runs, setting the record for most home runs by a rookie catcher. His .362 average in 1997 was the highest ever by a catcher in the National League, tying the Major League record set by Bill Dickey, who also batted .362 for the New York Yankees in 1936.